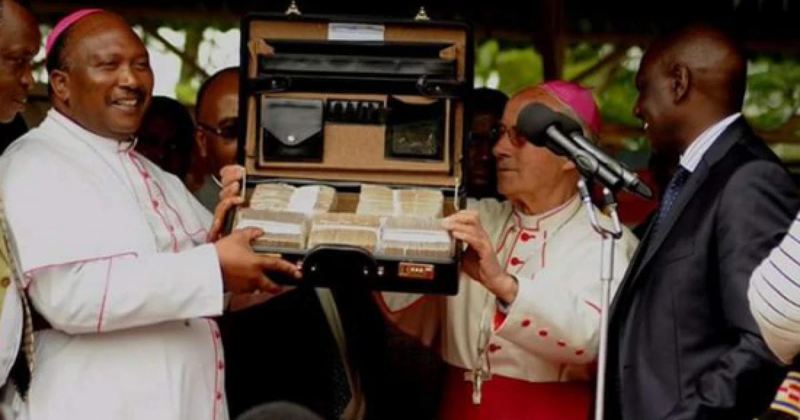 Tuesday April 16, 2019-Deputy President William has revealed that he is banking on the support of the church to deliver on his campaign pledges that is why he funds churches in Kenya. In a veiled attack on the Orange Democratic Movement Leader Raila Odinga, Ruto said he would not be shaken by the “lies and propaganda” being spread by Opposition politicians who are out to undermine him politically. “I have done a lot for churches across the country because I believe in promoting the work of God. But our competitors are troubled when I work closely with Christians because all they do is engage in telling stories and propaganda meant to cause divisions in the country,” said Dr Ruto. The DP vowed to continue funding churches even if it pains Raila and his allies.